Heavy rain hit the St. Charles, Missouri on Tuesday. And just days after that, the residents of one apartment complex in the county were having mold problems already. The rain caused flooding in the apartment building. That, in turn, caused the spores to grow and trouble the residents. Nonetheless, the tenants deemed that the management was not doing enough to resolve the issue. And so, several of them took steps of their own to ensure their safety from the spores. One resident chose to stay at his mother’s house to get good sleep. Another one encouraged the people in the complex to get the problem to the city’s building inspector for a prompt response via a letter. However, the property management team’s regional facilities director said there was no sign of mold in the building. The management stated that the drains weren’t just able to hold the large amount of rainfall and that they already hired a contractor and put large air movers to dry the building. “Some residents in the Westchester Village Apartments in O’Fallon are very upset with the staff’s response to the flooding in their buildings. Mold could cause various types of illnesses. And that is surely a valid reason for anyone to worry and act about their presence. 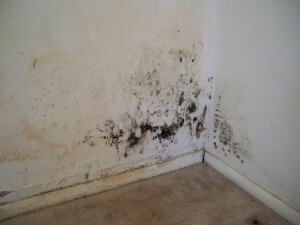 As soon as you see any mold sign, you got to act quick as it only takes 48 hours for them to grow and spread. Responding quickly would spare you from a lot of problems it could bring to your health and pocket. But of course, it wouldn’t be easy to do that. In some cases, you might need to scrub hard for hours. That is why you would need the help of Molderizer. 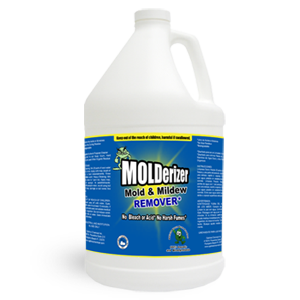 Molderizer is a mold removal spray that changes the DNA make-up of spores. It kills them from the roots to the tips and also prevents a re-infestation of them for up to four months. In addition, it is an organic product. Hence, it is not a threat to anybody’s health. Try the Molderizer Complimentary Sample Today!